Prices inclusive of one drop delivery UK Mainland. Registered for VAT. Vat chargeable extra at prevailing rate at date of invoice. 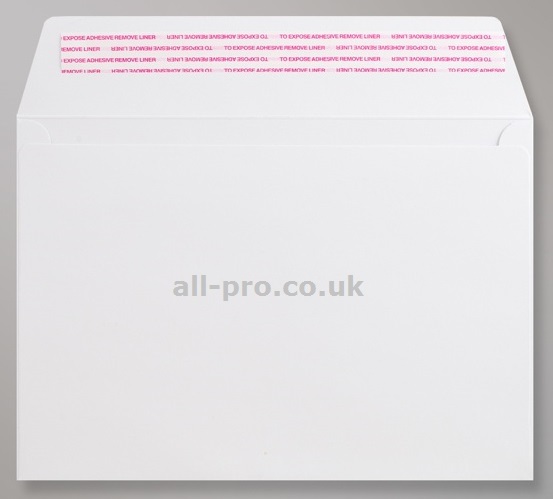 Key Product Features - Coated white lined chip board. Hot melt glue seams and flap. Easy lift silicon paper closure strip. Rippa tape opening. Environmentally Friendly. - EASY TO USE, CONVENIENT TO OPEN, TAMPER PROOF, SUITABLE FOR PRINTING, EASILY STORED, EXTENDED SHELF LIFE. PROTECTIVE. Please note that we are not in a position to accept returns on web purchased products. We will be pleased to sample you prior to purchase by email request to ensure that the correct product is specified and selected. This does not affect your statutory rights. Key Product Features - Brilliant white quality material. Hot melt glue seams and flap. Easy lift silicon paper closure strip. Environmentally Friendly. - EASY TO USE, CONVENIENT TO OPEN, TAMPER PROOF, SUITABLE FOR PRINTING, EASILY STORED, EXTENDED SHELF LIFE. High in presentation. Copyright All-Pro Packaging Services 2018. 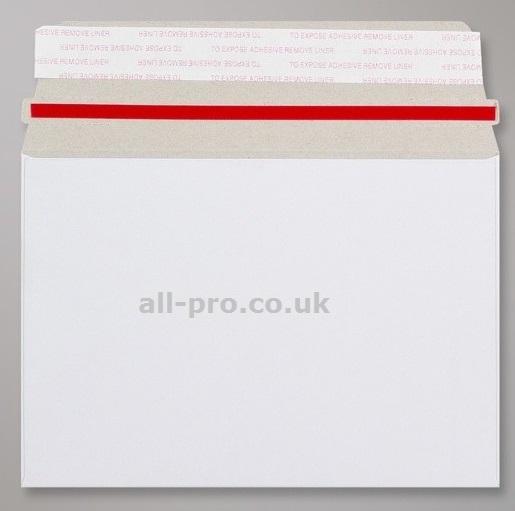 All-Pro� is a registered trademark. All items are quoted subject to product availability e&oe.